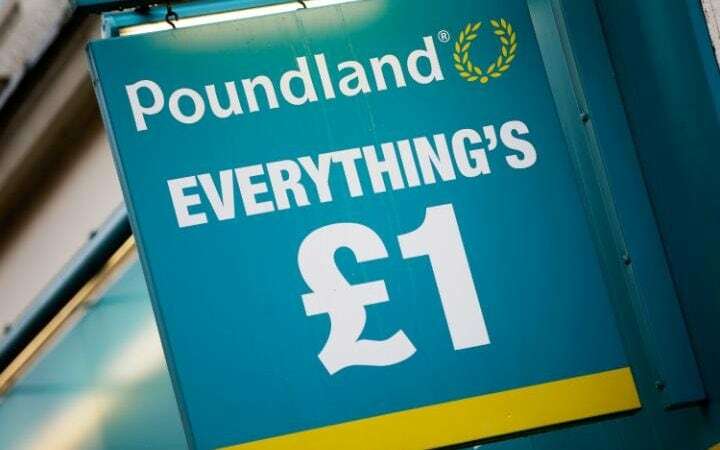 Steinhoff has completed a takeover of Poundland for £597 million. Steinhoff is a retail conglomerate from South Africa and the owner of Bensons for Beds and Harveys in the United Kingdom. Poundland has been struggling and recommended that the shareholders take the deal. Each of them will take away 220p for every share including the dividend of 2p the discount retailer had announced for the last financial year ending March 27th, which had been announced in the month of June 2016. Around the 15th of June, Steinhoff came out as the potential buyer of the struggling company and had to deal with a deadline to either walk away or make a bid immediately before the end of the day. Prior to the confirmation of the offer, the South African conglomerate had been growing its stake in Poundland. By July 12th, Steinhoff had a 23.6 percent ownership of the UK chain. Poundland leadership announced that with the £597 million takeover the discount retailer will be able to effectively turn the ambitions around much earlier than they had expected. This will happen against a backdrop of prevailing UK uncertainty following Brexit, including a challenging and competitive trading environment. Essentially, Steinhoff boosts of a global business that's well capitalised and has a proven and dedicated value retailing commitment. Considering the expansion and growth goals of Poundland, Steinhoff has great expansion and growth plans that augur well with the discount chain. Steinhoff forms an appropriate and highly suitable partner who will cater for all stakeholders, including suppliers of Poundland. Christo Wiese, a billionaire with a 17 percent stake in the takeover company has shown a huge interest in owning some part of the growing and expanding discount market in the UK. In fact, Wiese has stakes across the divide, right from New Look, a fashion chain, and Iceland a supermarket chain including diverse investments in Virgin Active line of gyms. For its part, Steinhoff has been on the lookout to buy a retailer in Europe and lost Home Retail Group buyout to Sainsbury's. The company also interest on Darty, a French retailer. Steinhoff has indicated their trust of the current Poundland management, especially their value and strength in uncertain times in England. The South Africa conglomerate sees them as a critical component of the continuing development and growth of the discount retailer. It means Poundland employees will end up being assimilated into a large discount seller in a multi-format. The £597 million takeover comes at a very penultimate moment for the retailer chain after its sales were reduced by their takeover of 99p Stores, a rival and a loss maker. At the same time, shoppers on the high street of Britain have been dwindling while facing an incessant supermarket competition that has continued going up at a time when there’s a severe price war in action. In April 2016, the Chief Executive of Poundland, Kim McCarthy, stepped down and a previous chief executive of B & O known as Kevin O'Byrne was slated to take over. Now that 99p Stores takeover has been concluded after the competition regulator's half a year investigation, Poundland currently boasts of 900 outlets across Ireland and the UK. At a time when an upside movement was really hard and a downside risk almost a reality, analysts believe the shareholders of Poundland have the best deal possible. On the other hand, Steinhoff could have made the best strategic move so far this year for the conglomerate although diverse challenges lay ahead if they're to make the takeover a success. In fact, Steinhoff had shown interest in taking over Poundland prior to the Britain referendum to leave Europe. The current acquisition, according to many analysts seems like a very wise move. The UK has seen a lot of discount retailers thriving very well in the last few years with consumer uncertainty and downturn that came with Brexit really playing into the hands of these retailers. Confidence in trading on the long term has been floated as the reason why Steinhoff went for Poundland as well as Brexit, which for a discount retailer it's a promising turn of events. Steinhoff has 2,300 stores and sells diverse items such as discount apparel and furniture. The Poundland takeover nonetheless is expected to leave a number of investors with some loss after its short public company profile came to an end. In March 2014, Poundland had listed at a share price of 300p but the price fell to a low of 139p in February 2016. It's also possible that Pep & Co, Steinhoff's 50 discount clothing chains in the UK could be combined with Poundland. This is after Pep & Co indicated its desire to open around 15 new stores before the end of 2016. Poundland was advised by both Rothschild and JPMorgan Cazenove while Steinhoff went for Investec advice.